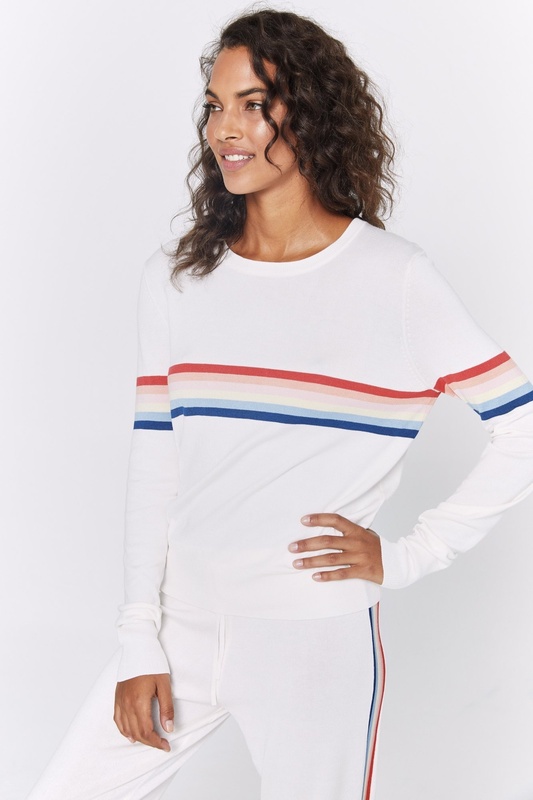 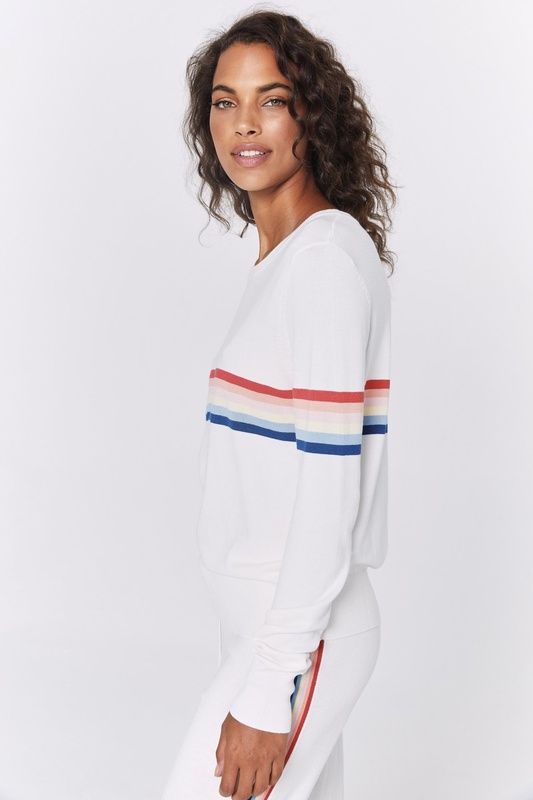 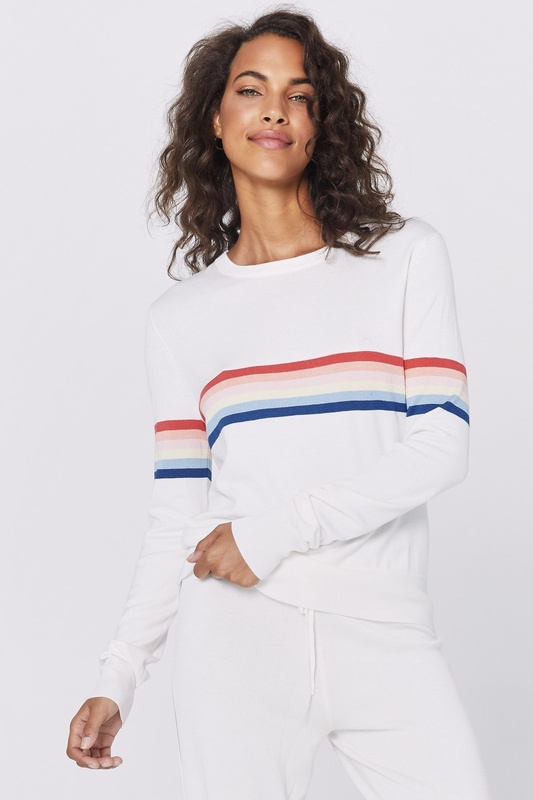 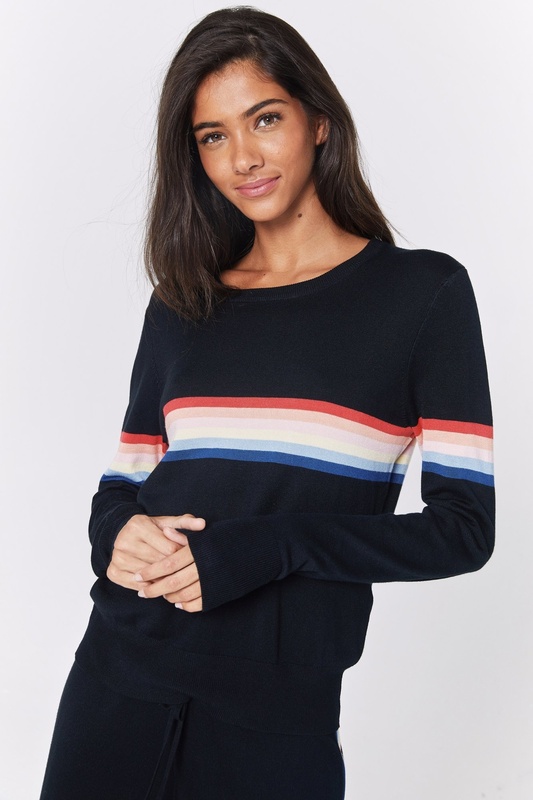 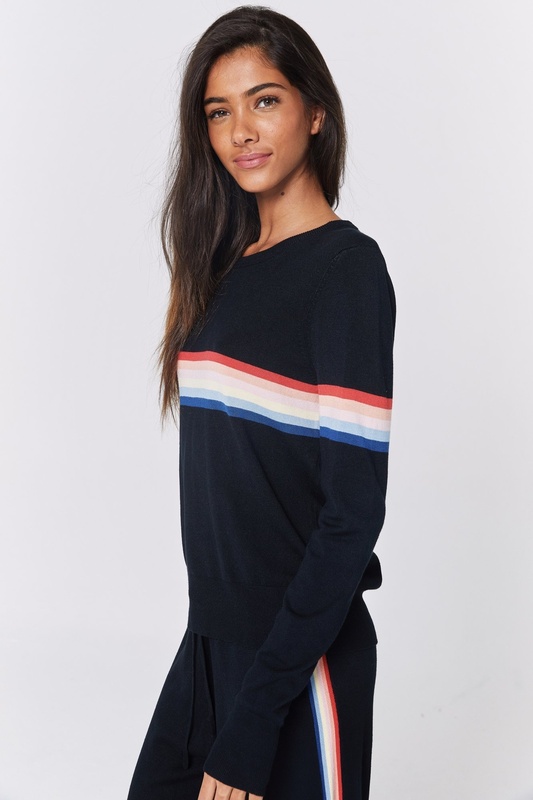 The Stripe Knit Sweater features a crew neck, exclusive rainbow stripe design and ribbed cuffs. 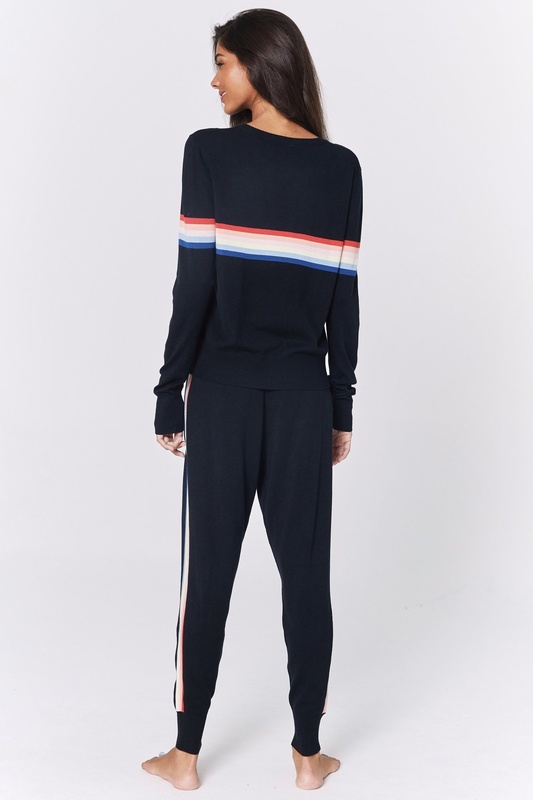 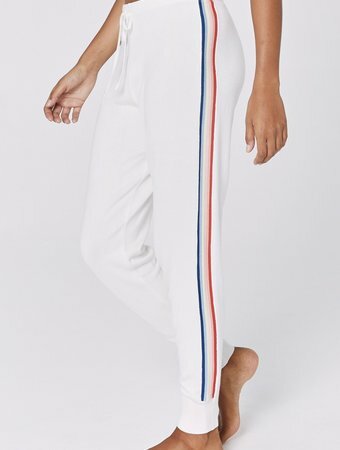 Shown with the Stripe Jogger. 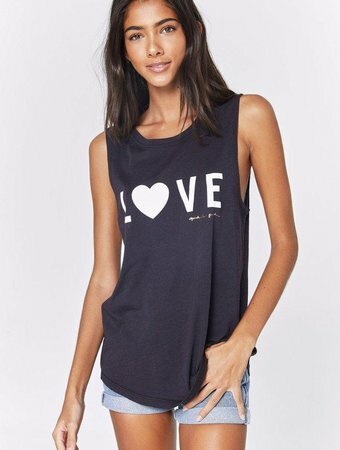 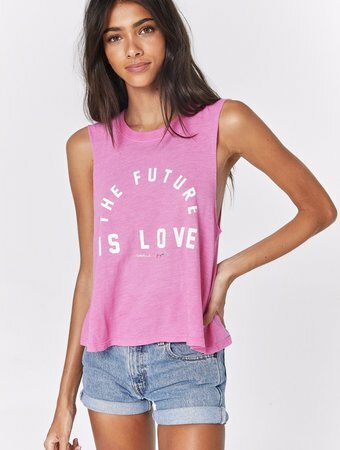 Available in Black and Cream color.